A home inventory is one of the easiest and most valuable additions you can make to your home insurance policy. The U.S. Department of Homeland Security's Federal Emergency Management Agency (FEMA) recommends that every homeowner complete an inventory of personal property that can help provide proof of personal property loss after a disaster. For some who have lived in their home for many years and may have rooms piled high with belongings, the task might seem daunting. But we’ve compiled a list of the easiest and most effective methods for home inventory that can be completed in an afternoon. It is much easier to document possessions before suffering a loss from disaster than it is to try and remember what you’ve lost after it’s all gone. Photo Album: Begin with a simple digital camera and take pictures of the outside of your home first, then the inside. Take pictures of all angles, close-up pictures of all large-ticket items such as televisions, furniture, appliances and electronics. When possible, take pictures of the model number, etc. Once you’ve taken all your photos, you can decide whether to store your inventory in an album or digitally, on a disk. If you choose to store your photos in an album, write a detailed description near each picture describing the item including serial number, model number and the approximate cost. If you choose to store them digitally, copy each photo to a disk and create an accompanying document with all the detailed information. Videographer: A video is a great way to do a home inventory because you can include the description and the image at the same time. Videos are great for getting different angles of the same item. Start with one room and detail everything in that room including clothing, jewelry, furniture, etc. 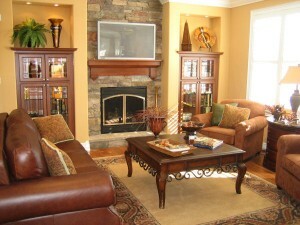 Describe each item as much as possible, don’t forget to open drawers, cupboards and closets, and record what's inside. Clearly label the tape or DVD as “home inventory” with the year. Written Records: Written records can easily be done if you don’t have access to a camera or video recorder, but are the most time consuming. There are computer software programs designed to help you with a written record as well, or you can choose to do it yourself in a simple notebook. Begin by making columns on the page for the name and description of each item, the quantity, model and serial number, purchase date, where you bought it, original cost and estimated current value. Tape recording: You can use a tape recording in addition to one of the above methods, but if you choose this method, you should have either photos or a video to back it up. For example, you might have someone take pictures for you, and you can record yourself describing each item on tape to avoid having to write down the description in an album or electronic document. Once you've completed your inventory, make multiple copies of everything including lists, appraisals, receipts, videotapes, disks and computer printouts, and have an extra set of photos developed. Store one inventory packet on your property in a safe or other fire-proof box and one off premises. You may choose to keep it in a safety deposit box, a vacation home or ask a friend or relative to keep a copy. Home inventories should be updated at least once a year and be sure to save all receipts for big ticket purchases. A complete home inventory may be one of the most valuable investments for peace of mind anyone can make for themselves.